Very often new historical data becomes available and causes our old assumptions to be revised or abandoned. Over time, many underworld legends appearing on these pages have given way to more defensible statements. Additional revisions are sure to be made in the months and years ahead. Articles presented here are the product of knowledge that was available to their authors at the time of their writing (article completion dates are noted below). Some of the articles - particularly older ones - may not reflect even the original author's current views on the subject matter. "In the late afternoon of March 20, 1912, Mrs. Pasquarella Mussone Spinelli was fatally shot in an East Harlem structure the New York press later dubbed 'the Murder Stable.' After Mrs. Spinelli's death, the lives of a number of stable-linked underworld figures also ended violently, and numerous legends about the building were born. Located at 334 East 108th and pushing southward through the block to emerge on East 107th Street...."
"Less than five years after achieving gangland eminence, Lucania was taken into custody. He spent most of the next decade - from the prime years of his life into middle age - behind prison bars. Lucky, accustomed to the finest things, must have found most of his time in prison unbearably offensive, ordinary and dull. Yet, even during a lengthy prison stay, Lucania found a way to make himself important." 1947 Al Capone death at his south Florida home. Seriously wounded in front of his home in 1925, Torrio turns racket control over to Capone. The North Side gangsters who were victims of the 929 St. Valentine's Day massacre. 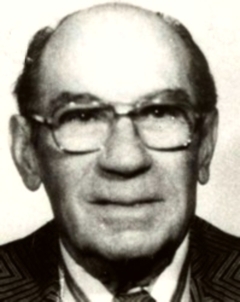 2012 death of Chicago Outfit leader Frank Calabrese Sr.
1869 killing of early New Orleans Mafia boss Raffaele Agnello. 1869 casualties in early American Mafia war. U.S. deports New Orleans crime boss Carlos Marcello. Mayor expected to issue Official Proclamation of Apology for 1891 lynchings of 11 Italian-American men. The February 1959 suicide of long-time New Jersey rackets chief. 1930 Legs Diamond visit to Europe, possibly with Charlie Luciano. 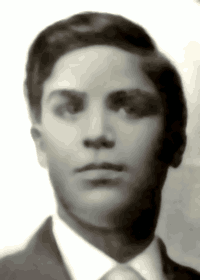 Ciro Terranova succumbs to a 1938 stroke, only one of four brothers to die of natural causes. 1944 electrocution of "Murder Inc." chief Louis Buchalter and aides Mendy Weiss and Louis Capone. The 1962 death of Salvatore "Charlie Luciano" Lucania at a Naples airport. Two Brooklyn men, associates of the Gallo gang, are shot and wounded as they change a car tire in 1962. Teamsters official suspected of involvement in Jimmy Hoffa's disappearance is murdered in Manhattan's Little Italy in March 1978. 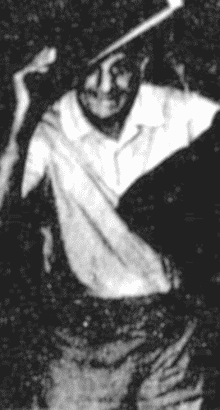 The 1987 death in Florida of longtime Buffalo, NY, Mafioso Sam DiCarlo. 1929 and 1932 killings of Pittsburgh bosses on August 6. John DiFronzo, reputed Chicago Outfit boss, died May 28, 2018, at his home in River Grove. DiFronzo was referred to as "No Nose," due to a 1949 tangle with police that cost him a portion of his nose. Family Secrets trial testimony named him as one of the mobsters who beat to death Anthony and Michael Spilotro in 1986, but DiFronzo was never charged with the murders. Asked about DiFronzo's greatest achievement, a criminal defense attorney replied, "Beating the G."
"On July 11, 1963, two men wearing makeup disguises entered the Flowers By Charm flower store in Brooklyn, New York, and fired five bullets at the owner before fleeing. Lying dead on the floor was forty-year-old Gambino Crime Family member Alfredo Santantonio. The murder had the hallmarks of a professional killing... An informant told the FBI that 'it was common talk in Brooklyn that [Santantonio] was killed because he was cooperating with the Government...'"
"In the late 1960s, a Florida-based member of the Bonanno Crime Family began to cooperate with the FBI. He shed light on gangland murders, spilled secrets about LCN members and gave the FBI a front row seat to the turmoil within the Bonanno organization. His cooperation was never suspected by his crime family, and he died a member in good standing. Now, clues found in declassified FBI documents may help to reveal his identity for the first time....."
"Jack Ruby of Dallas appears to have played a role in the departure of American racketeers and the removal of their money from Cuba in 1959. How big a role he played remains uncertain. Some believe he secured the release of Mafia boss Santo Trafficante by the Fidel Castro government and later may have been part of a Castro-Mafia plot against U.S. President John F. Kennedy..."
"Some Kennedy assassination-related documents released through the National Archives last week (October 26, 2017) and earlier this year (July 24, 2017) discussed CIA cooperation with American organized criminals in an effort to assassinate Cuban dictator Fidel Castro. The documents revealed little about CIA-underworld interaction that was not already known to historians through other sources, but..."
"By the early 1960s, the Federal Bureau of Investigation was able to persuade two members of the Philadelphia Crime Family to reveal confidential information about La Cosa Nostra. The informants were the sons of prominent LCN members who could trace their crime family connections to the 1920s. They provided federal agents with an inside look at the history, structure and membership of the Philadelphia Crime Family back to its earliest days..."
"Declassified FBI documents show that more than ten Chicago Outfit members began to "talk" soon after Sam Giancana was deposed as boss and fled Chicago. 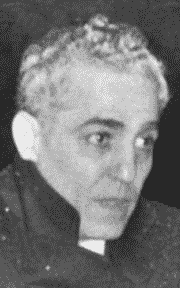 The turnaround, up from virtually zero high-value informants in 1965, was due primarily to a more aggressive approach by law enforcement and the ongoing turmoil within the Outfit after a succession of bosses were quickly jailed..."
"Venero Frank 'Benny Eggs' Mangano, one of the Genovese Crime Family's oldest and strongest remaining links to its traditional Lower West Side foundation, died of natural causes in Manhattan's Greenwich Village on August 18, 2017. The Greenwich Village area was a stronghold of the organization that became known as the Genovese Family since a young Vito Genovese joined forces with Giuseppe "Joe the Boss" Masseria in the Prohibition Era..."
"According to Roemer, the three 'best' informants... were Richard Cain, a former Outfit member gunned down in 1973, and two others who, to this day, are known only by their codenames, 'Sporting Goods' and 'Romano.' But who were 'Sporting Goods' and 'Romano'? A careful reading of Roemer’s books, especially his memoir and his biography of Outfit boss Tony Accardo, provides compelling clues. It appears the identities of these underworld informants can finally be revealed..."
Just How Organized Was Calabrian Crime? "There are a number of unanswered questions related to the American Mafia's incorporation of Calabrian gangsters - those who trace their origins to the southernmost portion of the Italian mainland. We may ask: How did this combination occur? Precisely when did it occur? Was it the result of a decision of the American Mafia as a whole or did it result from decisions of individual crime families?..." "Frank "Bomp" Bompensiero was a longtime high-ranking southern California Mafioso assassinated in 1977 for providing information to the FBI. Born in Milwaukee, WI, on Sept. 29, 1905, Bompensiero was an active part of the southern California underworld in the Prohibition Era. He settled in San Diego with his wife Thelma Sanfilippo (Thelma had also been born in Milwaukee). 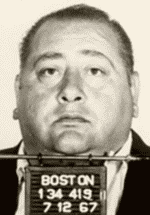 Early in 1931, he was convicted of violating the National Prohibition Act..."
"Frank Bonomo was a long-time member of the Bonanno Crime Family, who briefly may have served as a capodecina (group leader) during the late 1970s. Equally adept at avoiding the attention of law enforcement and the wrath of rivals, he survived the New York gangland "Banana War" and lived to the age of 86. Bonomo was born in the spring of 1901 in Castellammare del Golfo, Sicily, to Francesco and Giovanna Lananna Bonomo..."
Portions of the famous Mob informant's life story in his own words. Valachi recalls his early career as a burglar, his participation in the Castellammarese War, his induction into the American Mafia and more. Valachi's recollections, originally written at the urging of the United States government, formed the basis of the Peter Maas book, The Valachi Papers, but differ significantly from the Maas account. As the FBI entered the fight against organized crime on a national level, it benefited from membership data and organizational history obtained through confidential informants from a small Mafia family in northern California. For a brief period in the 1960s, there may have been more member-informants active in San Jose than any other LCN crime family. Their cooperation left the FBI better informed about the Bay Area underworld than its boss. During the Banana War of the 1960s, law enforcement benefited from data provided by an informer within the Bonanno Crime Family. Researcher Edmond Valin argues that, based upon the timing, the circumstances and the information conveyed to the authorities, the informer could only have been boss Joseph Bonanno's son, Salvatore "Bill" Bonanno. Around the globe, billions of dollars will be gambled on this single game, much of it will be wagered online. Last year, the Internet gambling industry generated in an estimated $10 billion to $12 billion, according to Capital HQ gaming analyst Michael Tew. About half of those revenues came from Americans. On Wednesday evening, Oct. 28, 1868, the Innocenti political brigade suspended its violent Presidential election season rampages through Republican neighborhoods and headed indoors. Members held a large rally at the Orleans Ballroom on Bourbon and Orleans Streets. After completing an evening meal of fish and pasta at the Cafe Oreto on March 12, 1909, Joseph Petrosino walked into the Piazza Marina, a wooded, public square just to the south of the busy docks of Palermo, Sicily. Petrosino, a New York police lieutenant, leader and founder of the Italian Squad, was in Italy to gather evidence against Italian fugitives living in New York. "Diu miu!" The shout drew Michael Fiaschetti's attention to the figure silhouetted in the dim gray light passing through the hotel window. Fiaschetti was on self-imposed guard duty, ostensibly protecting barber Bartolo Fontano from gangsters who wished him dead. Paul Castellano had sent some emissaries to talk to me about it. My brother Robert was with the Colombo family, and being he was with that family, we have no say and no influence on their politics or anything that they do. So this is a way to tell me this is Cosa Nostra. This is the way the rules are. Your brother was there. They killed him and that's it. There's no questions to be asked. Anthony Spilotro wasn't much to look at. His build certainly wasn't threatening. He stood just five feet, six inches tall and weighed in the neighborhood of 160. His small stature led underworld colleagues to call him "Tony the Ant" and "The Little Guy." "Al Capone's ten-month imprisonment in Philadelphia gave rise to a number of conspiracy theories. The most complex theory was advanced by Real Detective magazine in 1931. That periodical charged that the real Al Capone was dead and the man who had served time for carrying a deadly weapon in Philadelphia was an imposter. Real Detective charged that, at the time of his imprisonment, Capone's eye color changed from brown..."
In 1965, Anthony Lima, former boss of the San Francisco Crime Family, began to share confidential information with federal law enforcement. The veteran LCN member provided an insider's view of organized crime from the highest levels. 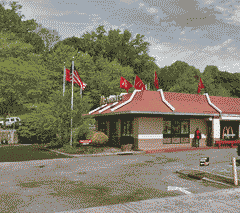 Lima told federal agents about his induction ceremony, provided details about the history of the Pittsburgh Crime Family, and identified LCN members, many for the first time. "Italians who came to this country at the beginning of this century had a penchant for grouping into small colonies. They came in great numbers to New York City and settled in districts which became known as Little Italys. The colonization laid them open to attacks by various criminal organizations from the Old World who brought with them much experience in murder and blackmail. In 1902 and 1903 members of these colonies were terrorized..."
Salvatore Piscopo was a longtime member of the Los Angeles Crime Family and a close associate of mob legends Johnny Roselli and Jimmy Fratianno. Piscopo ran a large-scale gambling operation for the mob. Although he never rose higher than soldier, Piscopo had a front row seat to organized crime's infiltration of the movie industry and the gang wars that boiled over in Southern California in the 1940s and 1950s.